No, it is not me who is giving this beautiful treats but a fellow blogger whose name i shared with. 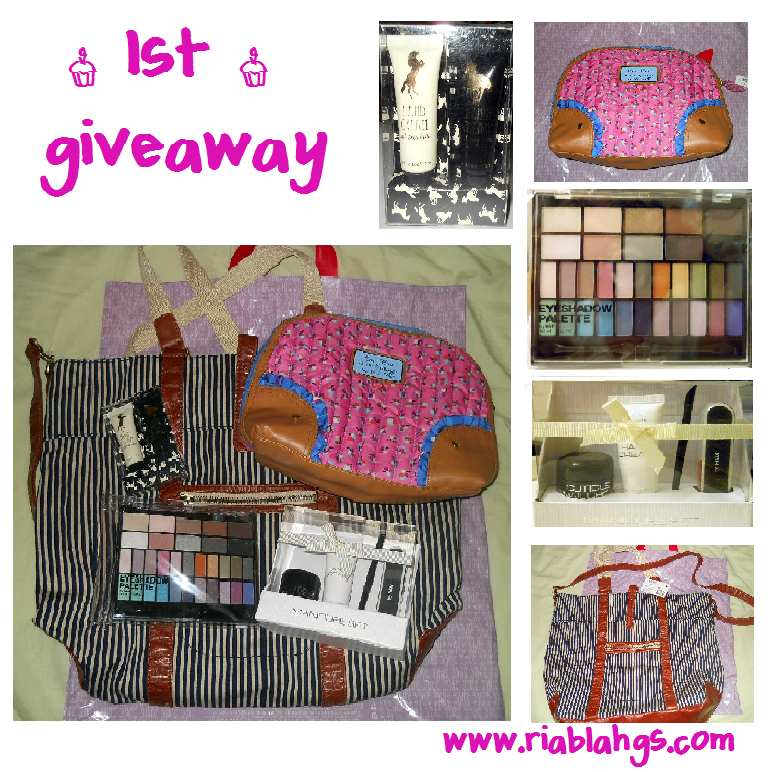 But if you wanted to win awesome beauty cosmetics, you can also visit my site and join my giveaway. Right, Ria is turning 40 but hey her look definitely is not 40.And with this regards, she is giving this wonderful treats to her loyal readers and followers. Join her contest and get a full share of her beautiful favorites (as she called it) of course, i wish that i could be the lucky one. 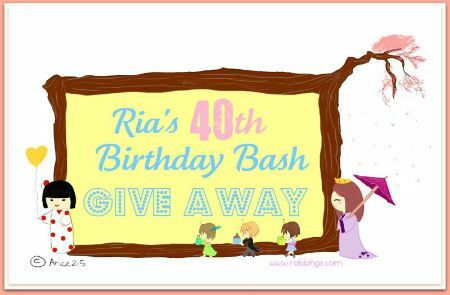 Dying to know the details, hop on Ria's birthday bash giveaway and follow her simple procedure because this ends on March 15, 2012.